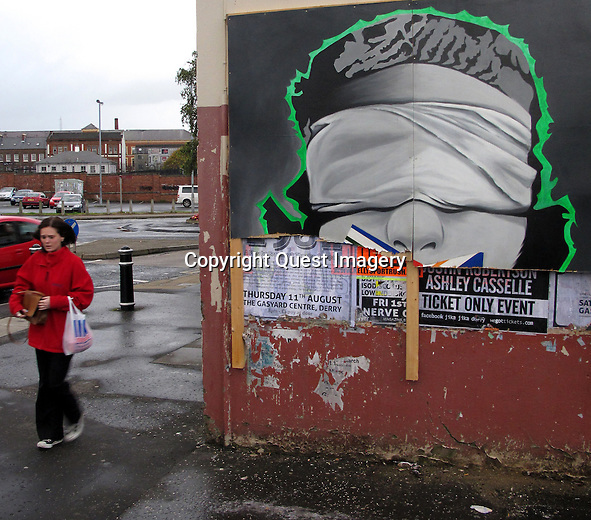 Scenes from The Bogside, a neighborhood outside the city walls of Derry, Northern Ireland. The area has been a focus point for many of the events of "The Troubles", from the Battle of the Bogside and Bloody Sunday in the 1960s and 1970s. The Troubles was a period of ethno-political conflict in Northern Ireland which spilled over at various times into England, the Republic of Ireland, and mainland Europe. The duration of the Troubles is conventionally dated from the late 1960s and considered by many to have ended with the Belfast "Good Friday" Agreement of 1998.